Researching the Pan-American Assurance Health Insurance Company revealed it to be an insurance agency based in South Florida. Because of this, Pan-American Life Insurance Company will be covered instead. Established in 1911, the Pan-American Life Insurance Company sells many different types of insurance products in 47 out of 50 states. Compare health insurance quotes on the web now by typing in your zip code! Most of the health insurance products offered by Pan-American Life Insurance Company are available to employers only. Limited medical, workers’ compensation and accident coverage are sold by the Pan-American Life Insurance Company. This company has its headquarters in New Orleans, Louisiana. Supplementary dental, vision, accidental death and dismemberment, and prescription coverage plans can be purchased from Pan-American Life Insurance Company. While only group rate plans can be purchased directly through the Pan-American Life Insurance Company, business owners are able to have their plans customized to their specifications. However, individual coverage can be bought from one of the Pan-American Life Insurance Company’s affiliates. Consumers can research all of the benefits and limitations associated with Pan-American Life Insurance company health insurance products online, but they will need to buy their policies through licensed insurance agents. Policyholders are able to see which hospitals and physicians they can get treatment through Pan-American Life Insurance Company’s online PPO search portal. The customer service hotline for the Pan-American Life Insurance Company is 1-877-569-3075. There is no email address for general inquiries; however, consumers that want to purchase a new policy should email [email protected]. Via the Pan-American Life Insurance Company website, job seekers can search for open positions. Although most of their available jobs are based in New Orleans, the Pan-American Life Insurance Company often has openings in other states. Very little information concerning the type of benefits offered by Pan-American Life Insurance Company were found on the company website. Standard health benefits are given to all full-time employees. Because Pan-American Life Insurance Company policies are sold directly through insurance agents, an invitation must be sent before consumers can get an online quote. By calling the customer service phone number, prospective customers are able to get more comprehensive information. There doesn’t appear to be an online account portal for existing customers. Policyholders may need to get in contact with their insurance agents or brokers in order to get prices or make adjustments to their coverage. Although customers and prospective clients can call, write, or email the Pan-American Life Insurance Company, most issues are resolved by their insurance agents. Because it is relatively easy to get in contact with the staff at Pan-American Life Insurance Company, questions are answered and researched when necessary. 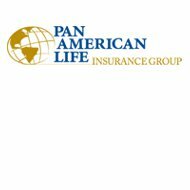 Pan-American Life Insurance Company posts the full names and email addresses of every regional manager on the website. This gives consumers the ability to get in contact with the proper entities if they are not able to get a resolution within a reasonable amount of time. Numerous awards have been bestowed upon the Pan-American Life Insurance Company because of its dedication to great customer service and its continued development of comprehensive insurance products. Between December of 2009 and August of 2011, the Pan-American Life Insurance Company generated 45 complaints lodged with the Texas Department of Insurance. The Pan-American Life Insurance Company is not accredited with the Better Business Bureau. A.M. Best has given the Pan-American Life Insurance Company an A+ rating as of May of 2011. Generally, consumer complaints about the Pan-American Life Insurance Company raised concern about having their claims denied. This is one of the main complaints that consumers have in the insurance industry; therefore it is fair to say that most customers are satisfied with the Pan-American Life Insurance Company. Although Pan-American Life Insurance Company has been fined and cited in several states, it maintains a good standing and is categorized as a stable company. The Pan-American Life Insurance Company regularly releases news stories on its website and keeps its customers up to date on all developments. Submit your zip code and see your personalized health insurance rates!